Okay, I know I'm a bit of a blogging slacker. But I have a great excuse this time! And that excuse is SPRING BREAK. Two spring breaks, actually. One week for my kids that are in middle and high school, and one week for my daughter who is a freshman in college. So yeah. The past two weeks have been spent primarily hanging out with my kids. Especially the college kid. I didn't write much. I didn't clean much. I didn't DO much besides whatever it was that my kids wanted to do. BUT tomorrow is April 1st. For some, that may mean plotting evil tricks to play on their loved ones. Like putting salt in Dad's coffee or tricking Mom into believing there is mouse poop in the silverware drawer. 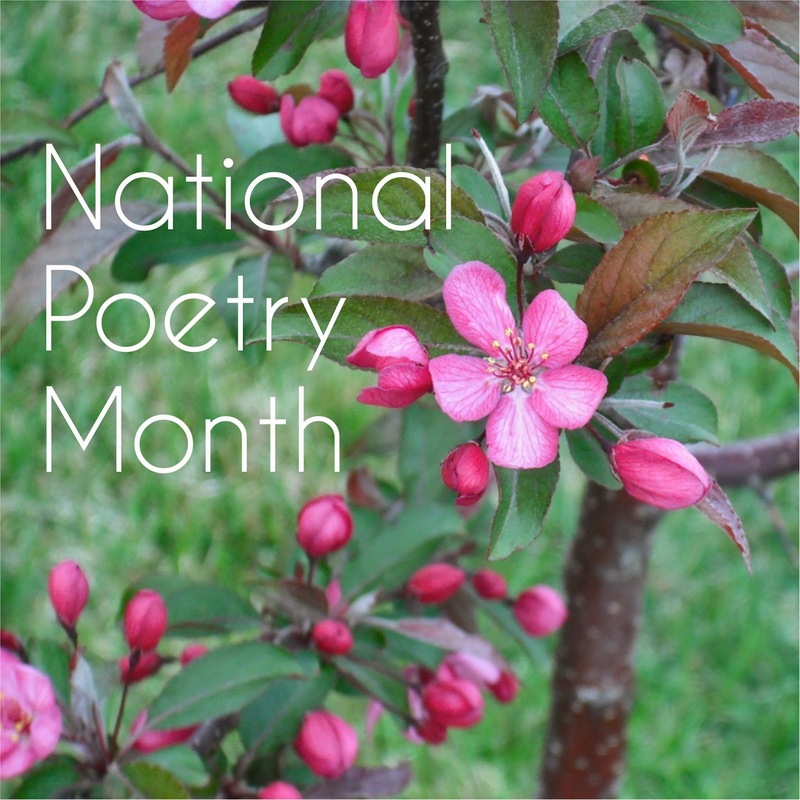 For me, though, April 1st means the beginning of National Poetry Month! I love April because it gives me an excuse to subject my family to poetry readings, buy a couple new verse novels, write poetic (rhyming or not) blog posts, and generally share my love for the beautiful thing that is POETRY both online and in real life. Share excerpts of favorite poems on my blog, twitter, Facebook, etc. What about you? Any plans for promoting a passion for poetry this April?